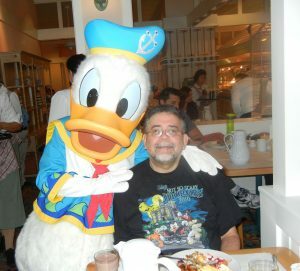 Happy Birthday, Donald Duck! And, Thank You! 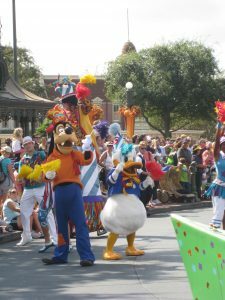 Remembering Donald’s birthday prompted me to yet again revisit all of our photographs from Walt Disney World. I have been feeling a little emotional these days. I think it is the nearing of the two year anniversary that Ben went into the emergency room and everything changed. Summer also signals the anniversary of the summer spent at the hospital and the summer that Ben succumbed to the ALS. It’s never been my favorite season- I hate the heat, but now there is the added set of memories. I definitely feel a certain level of anxiety, but as Dory taught me, I just keep swimming. I find myself poring over the photographs with a smile on my face, and yes, also some tears. Donald was always so much fun at the meet and greets. 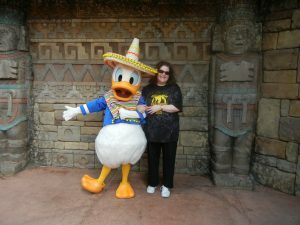 And, being a Spanish teacher, I did especially love when he was at the Mexico pavilion at Epcot. I share these photos because photos and memories have played such an important and positive part of my dealing with the rough times of watching Ben decline as his ALS progressed, and dealing with grief. It does not mean that I don’t get upset or lament the times we will never have. But, I also think about how lucky we were to share this love of Disney that always shed much needed pixie dust on our lives. 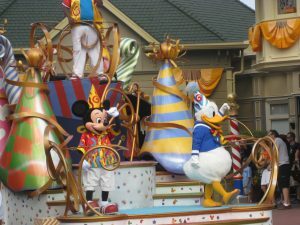 Donald is part of those special memories that comfort me. 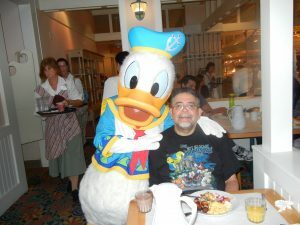 So, with gratitude and joy, I say Happy Birthday to Donald Duck.